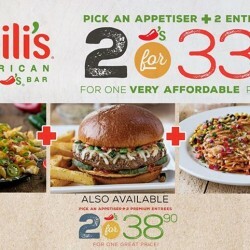 24 Jul 2018 Chili’s: 8th Annual Burger Day Promo – Juicy Gourmet Burger at only $9.88+ with No Service Charge on 24 July 2018! 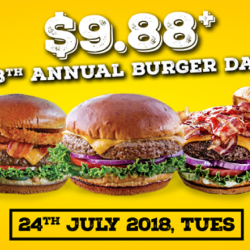 【 8TH ANNUAL BURGER DAY PROMO 】Just for one day, dig into Chili's juicy gourmet burgers for a steal at only $9.88+ (No Service Charge) this 24th July, 2018! As a thank you gift, they’re offering a little something just for you. From now till 29 Feb 2016, bring along a friend, order a minimum of 2 main courses and get a FREE Oreo Topped Molten Cake. 'Like' their page (if you have not) and simply flash this image to your server before ordering, to be entitled to a free cake. Come on over and celebrate this achievement with them! Terms and conditions apply. They say you are what you drink! 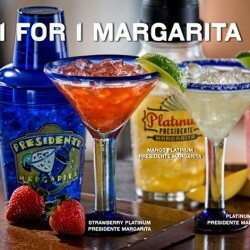 So, drop by to enjoy their 1-for-1 Margarita promotion and indulge your thirst with their Platinum Presidente Margarita. 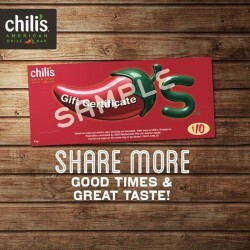 Till 31 Dec 2015 Chili’s: Chili’s Gift Certificate @S$10 absolutely Free. 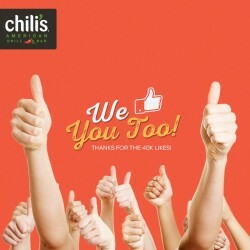 Chili's share goodness and get more with their Chili's Gift Certificate, for every $50 worth of Gift Certificates purchased, we'll throw in another S$10 absolutely free. Get your gift for your loved ones anytime. Clarke Quay Central, Tanglin Mall, Resorts World Sentosa. Fill your tummy only with good food! Now with their new Value Meal Promotion, you get 2 Main Course plus an Appetizer for only $33.90! So bring your colleague along either for lunch or dinner! Chili’s: 1-For-1 Margaritas @Lunch Meal. 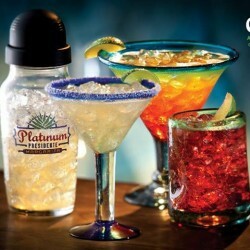 Come at Chili's and enjoy their 1-For-1 Margaritas and pair it with your lunch meal. What's even better that today is Wednesday. Chili's margaritas are going for 1-For-1, ALL DAY. 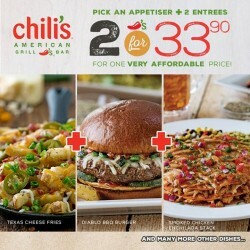 Enjoy Chili's big savings when you order their new value meals promotion for only $33.90, and you can get 2 main course + 1 appetizer. grab with your friends now. 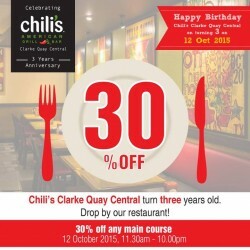 Enjoy Chili's at Clarke Quay Central turns 3 today and get Up to 30% OFF any main course. We also would like to take this chance to thank all our customers for supporting us over the years. A BIG THANK YOU. 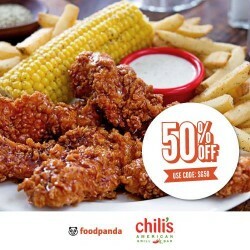 Enjoy Chili's with foodpanda great offers 50% OFF on ALL orders for one day only via the Foodpanda website. Valid for online payment only Discount capped at $20. Beat the queue by ordering online and pick-up at their restaurant! 15% off your online pick-up order via here. 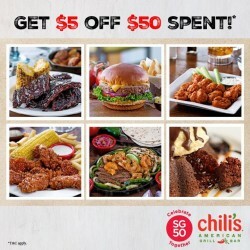 Spent $50 and you can get $5 off @ all Chili’s restaurants in Singapore. Exclusively on 7th until 10th August 2015. Maximum use of 2 vouchers per receipt. So, like their Facebook page and flash this picture to your server. Enjoy and save the hassle of queuing! 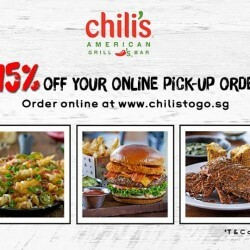 Order online at www.chilistgo.sg and pick up at any of our restaurants! and get this 15% off your online pick-up order!so hurry grab yours today! 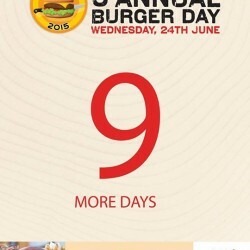 Enjoy and celebrate this 6th Anniversary with its 5th Annual Burger Da at Chili's Have you marked the 24th June in your Calendar. so what are you waiting for? garb now! 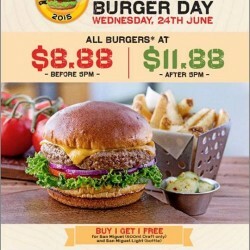 Chili's 5th Burger Day this 24th June, offering burgers at $8.88 before 5pm and $11.88 after 5pm. And enjoy buy 1 get 1 free for San Miguel (500ml Draft only) and San Miguel light (bottle). Save the date and let the countdown begin! 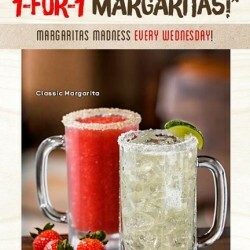 Enjoy 1-For-1 Margaritas Every Wednesday @ Chilli's. 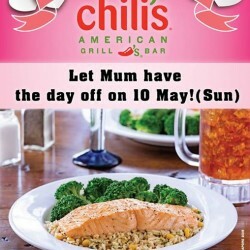 Book 10 May, Sunday with Chili's! A special occasion only for Mums! Let’s us do the cooking and you do the ordering! Every mum gets a $10 off their next visit. Every Wednesday is Margarita Night! Mark that day in your calendar! 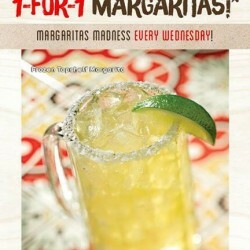 Enjoy 1-For-1 Margaritas every Wednesday! 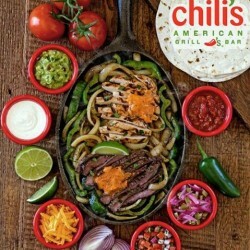 Chili's gives you 20% off Fajitas EVERY WEDNESDAY! Enjoy! 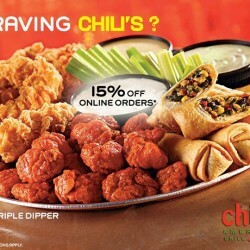 It's Monday and Chili's have the perfect solution to drive your Monday Blues away! 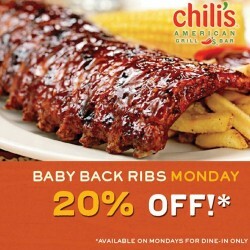 Visit Chili's today (OR EVERY MONDAY) and SAVE 20% off there delicious Baby Back Ribs! Cut the queue! 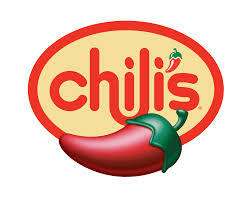 Order Online chilistogo, Pickup at any of our Chili's Restaurants and Enjoy your meal! 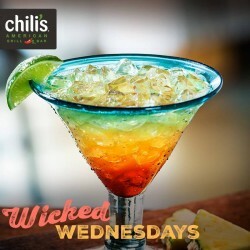 Jump on your broomstick and fly over to Chili's! 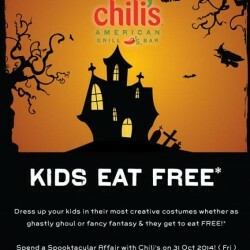 Dress your kids for Halloween today and they get to eat FREE! *2 more days to go! 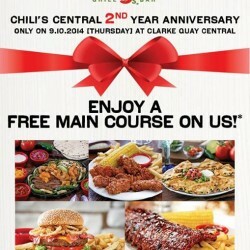 Chili's Clarke Quay Central celebrates with you there 2nd Anniversary with FREE Main Course! Be sure to drop by! Do share this! - Exclusively on 9 Oct 2014 (Thurs) dine in at Clarke Quay Central. - Minimum purchase of one main course + appetiser + 2 drinks. - Free main course to be of lower value. - Limited to 3 redemptions per table only. - No splitting of bills or tables. - Not valid with other promotions & discounts. - Other T&C may apply. 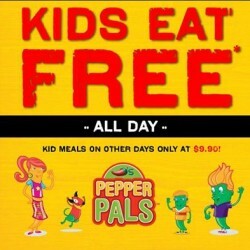 Kids eat free at Chili’s every Tuesday and Thursday! Purchase of one or more adult main courses to enjoy the offer. Valid for dine-in only. Buy 1 Margarita & get the other 1 FREE at Chili's. Valid for the same drink purchased and on Wednesdays only! Selected range of Margaritas available. It's Fajita-Rita Wednesday at Chili's! 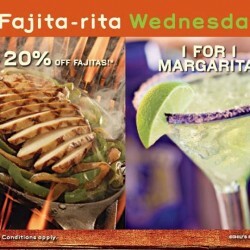 Enjoy 20% off Fajitas and 1 for 1 Margaritas, every Wednesday!